Those operations are part of the hidden history of the Navy’s SEAL Team 6, one of the nation’s most mythologized, most secretive and least scrutinized military organizations. Once a small group reserved for specialized but rare missions, the unit best known for killingOsama bin Laden has been transformed by more than a decade of combat into a global manhunting machine. Almost everything about SEAL Team 6, a classified Special Operations unit, is shrouded in secrecy — the Pentagon does not even publicly acknowledge that name — though some of its exploits have emerged in largely admiring accounts in recent years. But an examination of Team 6’s evolution, drawn from dozens of interviews with current and former team members, other military officials and reviews of government documents, reveals a far more complex, provocative tale. When suspicions have been raised about misconduct, outside oversight has been limited. Joint Special Operations Command, which oversees SEAL Team 6 missions, conducted its own inquiries into more than a half-dozen episodes, but seldom referred them to Navy investigators. “JSOC investigates JSOC, and that’s part of the problem,” said one former senior military officer experienced in special operations, who like many others interviewed for this article spoke on the condition of anonymity because Team 6’s activities are classified. Even the military’s civilian overseers do not regularly examine the unit’s operations. “This is an area where Congress notoriously doesn’t want to know too much,” said Harold Koh, the State Department’s former top legal adviser, who provided guidance to the Obama administration on clandestine war. Team 6 and its Army counterpart, Delta Force, have delivered intrepid performances that have drawn the nation’s two most recent presidents to deploy them to an expanding list of far-off trouble spots. They include Syria and Iraq, now under threat from the Islamic State, and Afghanistan, Somalia and Yemen, mired in continuing chaos. Like the C.I.A.’s campaign of drone strikes, Special Operations missions offer policy makers an alternative to costly wars of occupation. But the bulwark of secrecy around Team 6 makes it impossible to fully assess its record and the consequences of its actions, including civilian casualties or the deep resentment inside the countries where its members operate. The missions have become embedded in American combat with little public discussion or debate. Petty Officer First Class Neil C. Roberts. During a chaotic battle in March 2002 on the Takur Ghar mountaintop close to the Pakistan border, Petty Officer First Class Neil C. Roberts, an assault specialist in SEAL Team 6, fell from a helicopter onto terrain held by Qaeda forces. Enemy fighters killed him before American troops were able to get there, mutilating his body in the snow. It was SEAL Team 6’s first major battle in Afghanistan, and he was the first member to die. The manner in which he was killed sent shudders through the tight-knit community. America’s new war would be up close and ugly. At times, the troops carried out the grisliest of tasks: cutting off fingers or small patches of scalp for DNA analysis from militants they had just killed. After the March 2002 campaign, most of Osama bin Laden’s fighters fled into Pakistan, and Team 6 would rarely fight another sustained, pitched battle against the terrorist network in Afghanistan. The enemy they had been sent to take on had largely disappeared. At the time, the team was prohibited from hunting Taliban fighters and also blocked from chasing any Qaeda operatives into Pakistan, out of concern about alienating the Pakistani government. Mostly confined to the Bagram Air Base outside Kabul, the SEALs were frustrated. The C.I.A., though, was under no similar restrictions, and Team 6 members eventually began working with the spy agency and operated under its broader combat authorities, according to former military and intelligence officials. But an extensive campaign of lethal operations in Pakistan was considered too risky, the officials said, so the Omega Program primarily focused on using Afghan Pashtuns to run spying missions into the Pakistani tribal areas, as well as working with C.I.A.-trained Afghan militias during night raids in Afghanistan. A C.I.A. spokesman declined to comment for this article. The escalating conflict in Iraq was drawing most of the Pentagon’s attention and required a steady buildup of troops, including deployments by SEAL Team 6 members. With the relatively small American military footprint in Afghanistan, Taliban forces began to regroup. Alarmed, Lt. Gen. Stanley A. McChrystal, who was leading Joint Special Operations Command, in 2006 ordered the SEALs and other troops to take on a more expansive task in Afghanistan: Beat back the Taliban. That order led to years of nightly raids or fights by Team 6, which was designated the lead Special Operations force during some of the most violent years in what became America’s longest war. A secret unit that was created to carry out the nation’s riskiest operations would instead be engaged in dangerous but increasingly routine combat. The surge in operations started during that summer when Team 6 operators and Army Rangers began to hunt down midlevel Taliban figures in hopes of finding leaders of the group in Kandahar Province, the Taliban heartland. 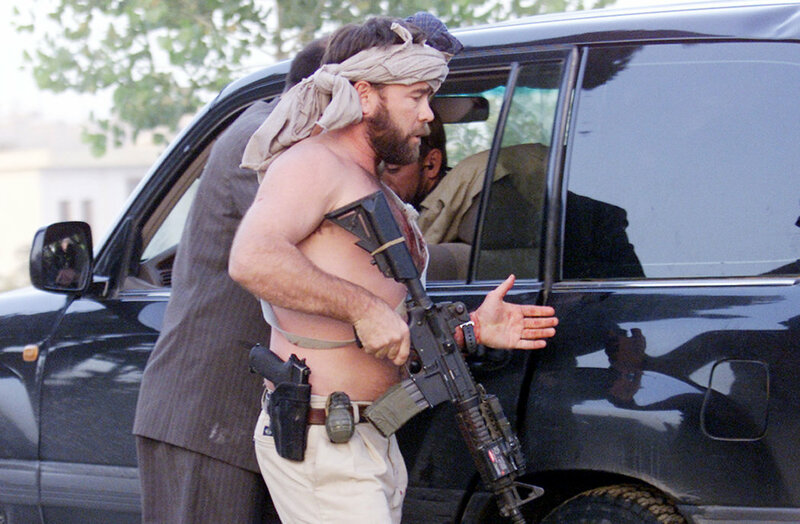 The SEALs used techniques developed with Delta Force in kill-and-capture campaigns in Iraq. The logic behind the manhunts was that intelligence gathered from a militant safe house, along with that collected by the C.I.A. and the National Security Agency, could lead to a bomb maker’s workshop and eventually to the door of an insurgent commander. Special Operations troops struck a seemingly endless succession of targets. No figures are publicly available that break out the number of raids that Team 6 carried out in Afghanistan or their toll. Military officials say that no shots were fired on most raids. But between 2006 and 2008, Team 6 operators said, there were intense periods in which for weeks at a time their unit logged 10 to 15 kills on many nights, and sometimes up to 25. “Whether they were facilitators, Taliban subcommanders, Taliban commanders, financiers, it no longer became important,” he added. The unit pushed to make its operations faster, quieter and deadlier, and benefited from a ballooning budget and from advances in technology since 2001. Team 6’s bland cover name — the Naval Special Warfare Development Group — is a nod to its official mission of developing new equipment and tactics for the broader SEAL organization, which also includes nine unclassified teams. 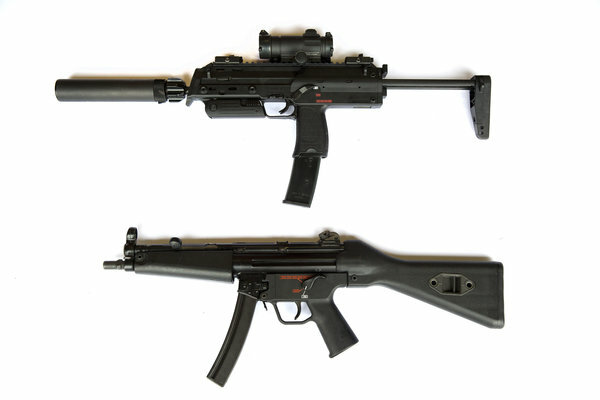 The SEALs’ armorers customized a new German-made rifle and equipped nearly every weapon with suppressors, which reduce gunshot sounds and muzzle flashes. Infrared lasers enabling the SEALs to shoot more accurately at night became standard issue, as did thermal optics to detect body heat. The SEALs were equipped with a new generation of grenade — a thermobaric model that is particularly effective in making buildings collapse. They often operated in larger groups than they had traditionally done. More SEALs carrying deadlier weapons meant that fewer enemies escaped alive. Some Team 6 assault troops also used tomahawks crafted by Daniel Winkler, a knife maker in North Carolina who forged blades for the film “The Last of the Mohicans.” During one period, members of Team 6’s Red Squadron — its logo shows crossed tomahawks below the face of a Native American warrior — received a Winkler hatchet after their first year in the squadron, according to two members. In an interview, Mr. Winkler declined to discuss which SEAL units had received his tomahawks, but did say many were paid for by private donors. The weapons were not just wall ornaments. Several former Team 6 members said that some men carried the hatchets on missions, and at least one killed an enemy fighter with the weapon. Dom Raso, a former Team 6 member who left the Navy in 2012, said that hatchets were used “for breaching, getting into doors, manipulating small locks, hand-to-hand combat and other things.” He added that hatchet and blade kills occurred during his time with the SEALs. “Whatever tool you need to protect yourself and your brothers, whether it is a blade or a gun, you are going to use,” said Mr. Raso, who has worked with Mr. Winkler in producing a blade. 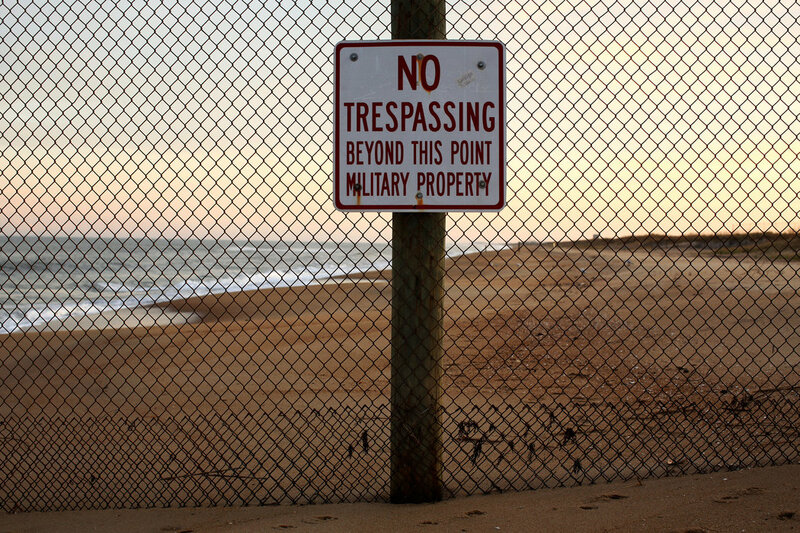 SEAL Team 6’s fenced-off headquarters at the Dam Neck Annex of the Oceana Naval Air Station, just south of Virginia Beach, houses a secretive military within the military. Far removed from the public eye, the base is home not just to the team’s 300 enlisted operators (they disdain the term “commandos”), their officers and commanders, but also to its pilots, Seabee builders, bomb disposal technicians, engineers, medical crews and an intelligence unit equipped with sophisticated surveillance and global tracking technology. The Navy SEALs — the acronym stands for Sea, Air, Land forces — evolved from the frogmen of World War II. Team 6 arose decades later, born out of the failed 1980 mission to rescue 53 American hostages seized in the takeover of the United States Embassy in Tehran. Poor planning and bad weather forced commanders to abort the mission, and eight servicemen died when two aircraft collided over the Iranian desert. The Navy then asked Cmdr. Richard Marcinko, a hard-charging Vietnam veteran, to build a SEAL unit that could respond quickly to terrorist crises. The name itself was an attempt at Cold War disinformation: Only two SEAL teams existed at the time, but Commander Marcinko called the unit SEAL Team 6 hoping that Soviet analysts would overestimate the size of the force. He flouted rules and fostered a maverick image for the unit. (Years after leaving the command, he was convicted of military contract fraud.) In his autobiography, “Rogue Warrior,” Commander Marcinko describes drinking together as important to SEAL Team 6’s solidarity; his recruiting interviews often amounted to boozy chats in a bar. Inside Team 6, there were initially two assault groups, called Blue and Gold, after the Navy colors. Blue used the Jolly Roger pirate flag as its insignia and early on earned the nickname “the Bad Boys in Blue,” for racking up drunken driving arrests, abusing narcotics and crashing rental cars on training exercises with near impunity. Young officers sometimes were run out of Team 6 for trying to clean up what they perceived as a culture of recklessness. Adm. William H. McRaven, who rose to head the Special Operations Command and oversaw the Bin Laden raid, was pushed out of Team 6 and assigned to another SEAL team during the Marcinko era after complaining of difficulties in keeping his troops in line. That was the beginning of what Mr. Zinke referred to as “the great bloodletting,” when the Navy purged Team 6’s leadership to professionalize the force. Current and former Team 6 operators said the culture was different today. Members now tend to be better educated, more athletic, older and more mature — though some are still known for pushing limits. Delta Force members, who have a reputation for going by the book, often start out as regular infantry, then move up through the Army’s Ranger units and Special Forces teams before joining Delta. But SEAL Team 6 is more isolated from the rest of the Navy, with many of its men entering the brutal SEAL training pipeline from outside the military. After several years on regular SEAL teams — the even-numbered ones based in Virginia Beach, the odd-numbered ones in San Diego, and a unit in Hawaii dedicated to mini-submarines — SEALs can try out for Team 6. Many are eager to get to the most elite unit, but about half of them wash out. And they tend to swagger, critics and defenders say. While the other SEAL teams (called “white” or “vanilla” SEALs within the military) perform similar tasks, Team 6 pursues the highest value targets and takes on hostage rescues in combat zones. It also works more with the C.I.A. and does more clandestine missions outside war zones. Only Team 6 trains to chase after nuclear weapons that fall into the wrong hands. Team 6’s role in the 2011 Bin Laden raid spawned a cottage industry of books and documentaries, leaving tight-lipped Delta Force troops rolling their eyes. Members of Team 6 are expected to honor a code of silence about their missions, and many current and former members fume that two of their own spoke out about their role in the Qaeda leader’s death. The men, Matt Bissonnette, author of two best sellers about his tenure at SEAL Team 6, and Robert O’Neill, who said in a television special that he had killed Bin Laden, are under investigation by the Naval Criminal Investigative Service over accusations that they revealed classified information. With multiple deployments over the last 13 years, few of the unit’s members are unscathed. About three dozen operators and support personnel have died on combat missions, according to a former senior team member. 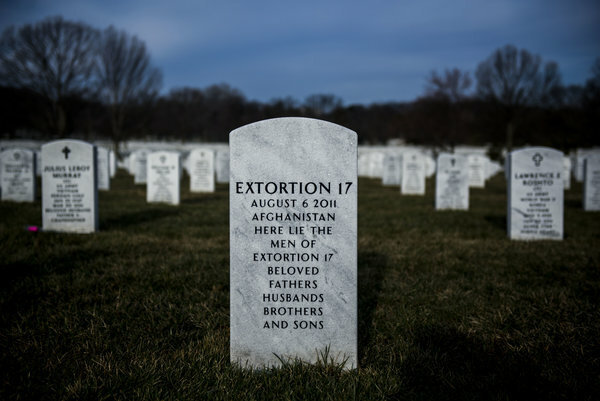 They include 15 Gold Squadron members and two bomb specialists who were killed in 2011 when a helicopter with the call sign Extortion 17 was shot down in Afghanistan, the most devastating day in Team 6 history. Early on in the Afghan war, SEAL Team 6 was assigned to protect the Afghan leader Hamid Karzai; one of the Americans was grazed in the head during an assassination attempt on the future president. But in the years that followed, Mr. Karzai became a bitter critic of the United States Special Operations troops, complaining that they routinely killed civilians in raids. He viewed the activities of Team 6 and other units as a boon for Taliban recruiting and eventually tried to block night raids entirely. Most missions were not lethal. Several Team 6 members said they herded women and children together and knocked men out of the way, with a push or a gun muzzle, to search homes. They frequently took prisoners; a number of detainees had broken noses after SEALs punched them in struggles to subdue them, one officer said. The Team 6 members often operate under the watchful eyes of their commanders — officers at overseas operations centers and at Dam Neck can routinely view live surveillance feeds of raids provided by drones high above — but are also given wide latitude. 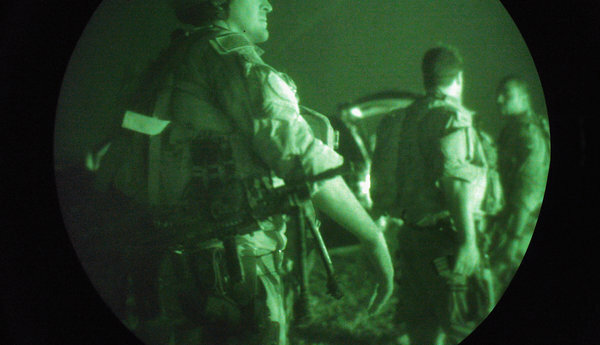 While Special Operations troops functioned under the same rules of engagement as other military personnel in Afghanistan, Team 6 members routinely performed their missions at night, making life-or-death decisions in dark rooms with few witnesses and beyond the view of a camera. The rules boiled down to this, the noncommissioned officer said: “If in your assessment you feel threatened, in a split second, then you’re going to kill somebody.” He described how one SEAL sniper killed three unarmed people, including a small girl, in separate episodes in Afghanistan and told his superiors that he felt they had posed a threat. Legally, that was sufficient. “But that doesn’t fly” in Team 6, the noncommissioned officer said. “You actually have to be threatened.” He added that the sniper was forced out of Team 6. A half-dozen former officers and enlisted troops who were interviewed said they knew of civilian deaths caused by Team 6. Mr. Slabinski, a former senior enlisted member of SEAL Team 6, said he witnessed Team 6 members mistakenly kill civilians “probably four or five times” during his deployments. Several former officers said they routinely questioned Team 6 operators when their suspicions were raised about unwarranted killings, but they usually found no clear evidence of wrongdoing. “There was no incentive to dig deep on that,” said a former senior Special Operations officer. Civilian deaths are an inevitable part of every war but in conflicts with no clear battle lines and where enemy fighters are often indistinguishable from noncombatants, some military law experts say, the traditional rules of war have become outdated and new Geneva Convention protocols are necessary. But others bristle at the notion, saying that the longstanding, unambiguous rules of behavior should govern murky, modern combat. Near the end of an Afghan deployment by Team 6’s Blue Squadron, which concluded in early 2008, elders complained to the British general whose forces controlled Helmand Province. He immediately called Capt. 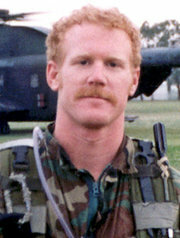 Scott Moore, commander of SEAL Team 6, saying that two elders had reported that the SEALs killed civilians in a village, according to a former Team 6 senior member. Captain Moore confronted those leading the mission, which was intended to capture or kill a Taliban figure code-named Objective Pantera. When Captain Moore asked what had happened, the squadron commander, Peter G. Vasely, denied that operators had killed any noncombatants. He said they had killed all the men they encountered because they all had guns, according to the former Team 6 member and a military official. Captain Vasely, who now oversees the regular SEAL teams based on the East Coast, declined to comment through a spokesman. Captain Moore asked the Joint Special Operations Command to investigate the episode. About that time, the command received reports that dozens of witnesses in a village were alleging that American forces had engaged in summary executions. Another former senior Team 6 member contended later that Mr. Slabinski, Blue Squadron’s command master chief, gave pre-mission guidance that every male at the target be killed. Mr. Slabinski denied that, saying there was no policy to leave all men dead. “I didn’t ever convey that to the guys,” he said in an interview. “If any of you feel a need to do any retribution, you should call me,” he recalled telling them. “There’s no one that could authorize that other than me.” He said his message was intended to convey that permission would never come because such conduct was inappropriate. But he conceded that perhaps some of his men may have misunderstood. JSOC cleared the squadron of any wrongdoing in the Pantera operation, according to two former Team 6 members. It is not clear how many Afghans were killed in the raid or exactly where it happened, though a former officer said he believed it was just south of Lashkar Gah, the capital of Helmand Province. But the killings prompted a high-level discussion about how, in a country where many men carried guns, Team 6 could “guarantee that we’re only going after the real bad guys,” one of the former senior team leaders said. In other inquiries, which were usually handled by JSOC, not Navy investigators, no one faced any charges. Typically, men were sent home when concerns arose; three, for example, were sent back to Dam Neck after roughing up a detainee during an interrogation, one former officer said, as were some team members involved in questionable killings. More than a year later, another mission spurred strong protests from Afghans. 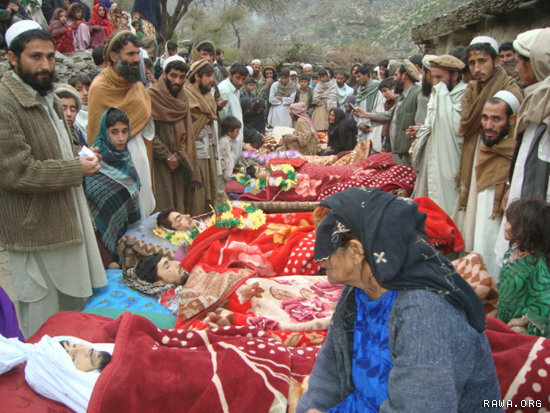 Just after midnight on Dec. 27, 2009, dozens of American and Afghan troops landed in helicopters several miles from the small village of Ghazi Khan in Kunar Province, and hiked to the village in darkness. By the time they left, 10 residents had been killed. What happened that night is still in dispute. The purpose of the mission was to capture or kill a senior Taliban operative, but it was quickly apparent that no Taliban leaders were present at the target. The mission had been based on faulty intelligence, a problem that bedeviled United States military operations even after years in Afghanistan. A former governor of the province investigated, and accused the Americans of killing unarmed schoolboys. American military spokesmen initially said that those who died were part of an insurgent cell that had been building improvised explosive devices. Eventually, they backed off that claim. But some American military officials still insist that all of the youths had guns and were tied to the Taliban. One NATO statement said that the people who carried out the raid were “nonmilitary in nature,” seemingly a reference to the C.I.A., which was in charge of the operation. But Team 6 members had also participated in that mission. As part of the covert Omega Program, they joined an assault force that included C.I.A. paramilitary officers and Afghan troops trained by the spy agency. By then, the program that had begun at the dawn of the Afghan war had changed. Forays into Pakistan were limited because it was difficult to operate there without being noticed by Pakistani soldiers and spies, so missions were mostly confined to the Afghan side of the border. Over time, General McChrystal, who became the top American commander in Afghanistan, responded to Mr. Karzai’s complaints about civilian deaths by tightening the rules on night raids and scaling back the pace of special operations. Mr. Slabinski said that civilian casualties occurred most often during the “call out” operations, which were meant to mitigate exactly such losses. Enemy combatants, he said, would sometimes send out family members and then shoot from behind them, or give civilians flashlights and tell them to point out American positions. Years ago, before the Afghan night raids and the wartime deployments, SEAL Team 6 trained constantly to rescue hostages — dangerous, difficult missions they never got a chance to perform before 2001. Since then, the unit has attempted at least 10 rescues, which have been among its most celebrated successes and bitterest failures. Operators say that in rescues — considered “no-fail” missions — they have to move faster and expose themselves to greater risk than on any other type of operation so that they can protect hostages from being shot or otherwise harmed. The SEALs often end up killing most of the captors. The first high-profile rescue came in 2003, when SEAL Team 6 operators helped retrieve Pfc. Jessica Lynch, who had been injured, captured and held in a hospital, during the early days of the Iraq war. Six years later, Team 6 members jumped out of cargo planes into the Indian Ocean with their specially designed assault boats in advance of the mission to rescue Richard Phillips, the captain of the Maersk Alabama, a container ship hijacked by Somali pirates. The operators, captured in a video shown by Mr. O’Neill, parachuted with swim fins strapped over their boots after releasing four boats — small, fast and equipped with stealth features to evade radar — that were each suspended by a canopy of multiple parachutes. SEAL snipers eventually killed three of the pirates. In 2012, operators sky-dived into Somalia to free an American aid worker, Jessica Buchanan, and her Danish colleague, Poul Hagen Thisted. JSOC considers its performance as the standard for such missions. 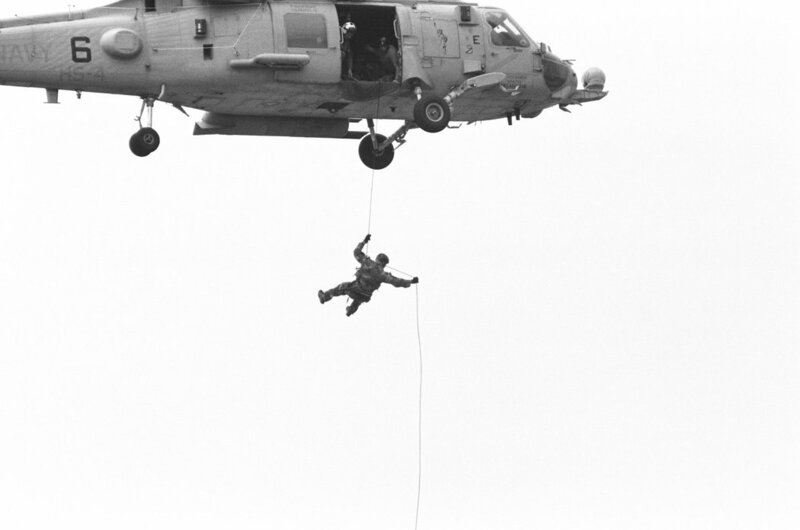 The SEALs used a free-fall parachuting technique called “HAHO,” for high altitude-high opening, in which they jump from a high altitude and steer their way on the wind for many miles to cross a border secretly, an exercise so risky that over the years several men died while in training. Ms. Buchanan recalled that four of the kidnappers were within 15 feet of her when the Team 6 members approached under cover of darkness. They shot and killed all nine captors while rescuing the aid workers. “Until they identified themselves, I did not believe a rescue was possible,” Ms. Buchanan said in an interview. 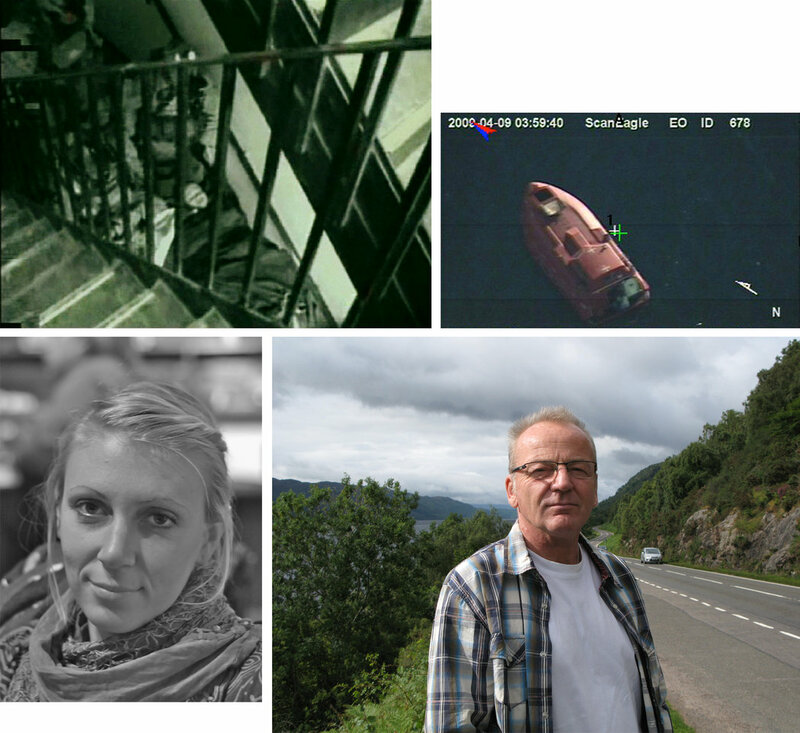 In October 2010, one Team 6 member erred during an attempt torescue Linda Norgrove, a 36-year old British aid worker being held by the Taliban. Disaster struck in the first two minutes, after operators jumped from helicopters in the mountains of Kunar Province and slid down 90 feet of braided rope to a steep slope, according to two senior military officials. As they sprinted in the dark toward the Taliban compound, the newest member of the team was confused, he later told investigators. His gun had jammed. “Thinking a million miles a minute,” he said, he threw a grenade at what he believed were a pair of fighters hiding in a ditch. Linda Norgrove, a British aid worker, died during a rescue attempt by SEALs in Kunar Province, Afghanistan. But after an exchange of gunfire that killed several Taliban captors, the SEALs found the hostage — wearing dark clothing and a head scarf — dead in the ditch. Initially, the operator who threw the grenade and another unit member reported that Ms. Norgrove was killed by an explosive suicide vest. That story quickly fell apart. Surveillance video shows that she died almost instantly from fragmentation wounds to her head and back caused by the grenade blast, the investigative report noted. A joint inquiry by the American and British governments concluded that the operator who had thrown the grenade had violated procedures for hostage rescues. He was forced out of Team 6, although permitted to remain in another SEAL unit. A rescue operation two years later succeeded in releasing an American physician, though at great cost. One night in December 2012, a group of Team 6 operators wearing night-vision goggles burst into a compound in Afghanistan where Taliban militants were holding Dr. Dilip Joseph, who had been working with an aid organization. The first operator to enter was felled by a shot to the head, and the other Americans responded with brutal efficiency, killing all five of the captors. But Dr. Joseph and military officials offer sharply different accounts of how the raid unfolded. The physician said in an interview that a 19-year-old named Wallakah was the sole kidnapper to survive the initial assault. He had been subdued by the SEAL operators and sat on the ground, hands around his knees, his head down, the doctor remembered. Wallakah, he believed, was the one who had shot the Team 6 operator. Minutes later, while waiting to board a helicopter to freedom, Dr. Joseph said, one of his SEAL rescuers guided him back into the house, where he saw in the moonlight that Wallakah was lying in a pool of blood, dead. “I remember those things as clear as day,” the doctor said. Military officials, speaking only on background about the classified operation, contended that all of the captors were quickly killed after the SEAL team entered and Wallakah had never been taken prisoner. They also said that Dr. Joseph had seemed disoriented at the time and never re-entered the house, and questioned whether he could have seen what was happening on the dark night. Two years later, Dr. Joseph remains grateful for his rescue and the sacrifice made by Petty Officer Nicolas D. Checque, the team member killed on the mission. But he still wonders what happened with Wallakah. From a string of firebases along the Afghan border, Team 6 regularly sent Afghan locals into the tribal areas of Pakistan to collect intelligence. The team transformed the large, brightly painted “jingle” trucks popular in the region into mobile spying stations, hiding sophisticated eavesdropping equipment in the back of the trucks and using Pashtuns to drive them over the border. Outside the mountains of Pakistan, the team also ventured into the country’s southwest desert, including the volatile Baluchistan region. One mission nearly ended in disaster when militants fired a rocket-propelled grenade from a doorway, causing the roof of their compound to collapse and a Team 6 sniper atop it to fall through onto a small group of fighters. A fellow American sniper nearby quickly killed them, one former operator recounted. Beyond Afghanistan and Pakistan, members of Team 6’s Black Squadron were scattered around the world on spying missions. Originally Team 6’s sniper unit, Black Squadron was reconfigured after the Sept. 11 attacks to conduct “advance force operations,” military jargon for intelligence gathering and other clandestine activities in preparation for a Special Operations mission. It was a particularly popular concept at the Pentagon under former Defense Secretary Donald H. Rumsfeld. By the middle of last decade, General McChrystal had designated Team 6 to take on an expanded role in global intelligence-gathering missions, and Black Squadron operatives deployed to American embassies from sub-Saharan Africa to Latin America to the Middle East. SEAL Team 6 used diplomatic pouches, the regular shipments of classified documents and other material to American diplomatic posts, to get weapons to Black Squadron operators stationed overseas, said a former member. In Afghanistan, Black Squadron operators wore tribal dress and sneaked into villages to plant cameras and listening devices and interview residents in the days or weeks before night raids, according to several former Team 6 members. The unit sets up front companies to provide cover for Black Squadron operators in the Middle East, and runs floating spying stations disguised as commercial boats off the coasts of Somalia and Yemen. Black Squadron members, working from the American Embassy in Sana, the Yemeni capital, were central to the hunt for Anwar al-Awlaki, the radical cleric and American citizen who had become affiliated with Al Qaeda in the Arabian Peninsula. He was killed in 2011 by a C.I.A. drone. Black Squadron has something the rest of SEAL Team 6 does not: female operatives. Women in the Navy are admitted to Black Squadron and sent overseas to gather intelligence, usually working in embassies with male counterparts. One former SEAL Team 6 officer said that male and female members of Black Squadron would often work together in pairs. It is called “profile softening,” making the couple appear less suspicious to hostile intelligence services or militant groups. Black Squadron now has more than 100 members, its growth coinciding with the expansion of perceived threats around the world. It also reflects the shift among American policy makers. Anxious about using shadow warriors in the years after the 1993 “Black Hawk Down” debacle in Mogadishu, Somalia, government officials today are willing to send units like SEAL Team 6 to conflicts, whether the United States chooses to acknowledge its role or not. Matthew Rosenberg and Richard A. Oppel Jr. contributed reporting. Research was contributed by Kitty Bennett, Alain Delaquérière, Susan Campbell Beachy and William M. Arkin. A version of this article appears in print on June 7, 2015, on page A1 of the New York edition with the headline: The Secret History of SEAL Team 6. Posted on June 8, 2015, in Postings. Bookmark the permalink. Leave a comment.